Learn It, Know It, Apply It! Memphis, TENNESSEE—September 18, 2017 – The Commission of the Council on Occupational Education (COE) has granted accreditation to Health-Tech Institute of Memphis (HTIM). Announcement of the action was made by Mr. James King, Commission Chair, following the Commission of the Council on Occupational Education on September 18, 2017. The award of accreditation status is based on an evaluation to demonstrate that the institution meets not only the standards of quality of the Commission, but also the needs of students, the community, and employers. The Commission's evaluation process includes an extensive self-study by the institution and an intensive review by a visiting team of professional educators representing the Commission's member institutions from other states. Health-Tech Institute of Memphis began its self-study in July 2016 and underwent a team visit in April 2017. The visiting team chairperson was Terry Williamson. The Council on Occupational Education, based in Atlanta, Georgia, offers quality assurance services to postsecondary technical education providers across the nation. Organized as a non‑profit corporation, the mission of the Council is to assure quality and integrity in career and technical education. Services offered include institutional accreditation (recognized by the U.S. Department of Education), program quality reviews for states and technical education providers, and informational services. Most of the Council's work is carried out by qualified professional volunteers who are experts in technical education. Institutional membership in the Council is voluntary, but can be achieved only by becoming accredited. The Council's current membership makes it unique. Members include postsecondary public technical institutes, specialized military and national defense schools, Job Corps Centers, private career schools, non-profit technical education providers, corporate and industry education units, and federal agency institutions. No other agency accredits and serves the diversity of organizations served by the Council. There are over 500 institutional members with COE. 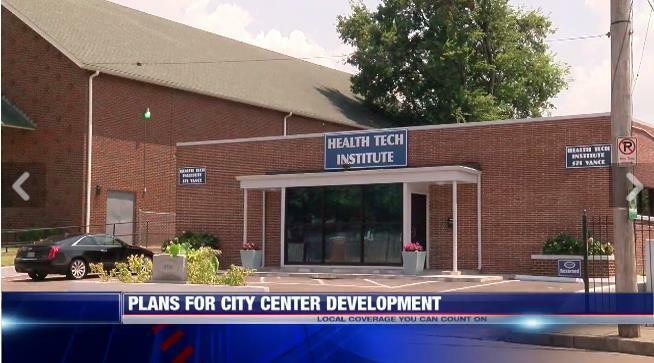 In the News: Health-Tech Institute of Memphis anticipates Memphis Downtown Commission's plans to revamp the historic South City area over the next 5 years. Ronald Washington, HTIM business leader, shares his promising outlook for the area that has been home to HTIM for 13 years with Fox 13 News. Health-Tech Institute of Memphis educates Memphians & develops the city’s workforce; joining Memphis’ grind addressing the city’s economic struggles. Recently, we joined the city's efforts to provide positive opportunities for Memphis' out-of-school youth aged 18-24. Young adults who are unemployed or underemployed, can receive free business and healthcare certification training, job-readiness skills training, & job placement assistance. This is a part of a concerted effort to see our youth, our future, realize their potential and deter them from negative influences. Our efforts were recently highlighted by Fox 13 News. The entry-level certifications administered by the American Association of Healthcare Administrative Management (AAHAM), has nationally recognized and conferred upon the successful completion of technical certification as a Certified Revenue Cycle Specialist-Professional (CRCS-P). The certifications administered by the National Healthcareer Association (NHA), has nationally recognized and conferred upon the successful completion of the requirements as a Certified Clinical Medical Assistant (CCMA). The certifications administered by Certiport, has nationally recognized the successful completion of the requirements as a Microsoft Office Specialist (MOS). Congratulations to our students for their hard work and dedication! The best is yet to come! Did you know that a recent Centers for Medicare and Medicaid (CMS) decision positions your medical assistant status as even more valuable to healthcare providers once you become certified? Under the CMS rules established in late 2012, credentialed medical assistants can enter orders into the medical record for the computerized provider entry (CPOE), a task previously limited to licensed healthcare professionals. This means that medical assistant students who become credentialed can offer additional workflow efficiency and compliance benefits to their employers. This could heighten program exposure and credibility, and potentially provide valuable partnerships opportunites with local providers, which translates to increased placement rates. HTIM wants to announce our partnership with Methodist Lebonheur Healthcare Patient Financial Services! We will provide quality, confident, and efficient students from our Health-Information Management program to extern in their Billing Service Department. Congratulations to Annette Bledsoe, a Health Information Management student, on her job opportunity with Methodist Lebonheur Healthcare Patient Financial Services! She was offered a position as a Reimbursement Specialist. All the hard work and dedication paid off!